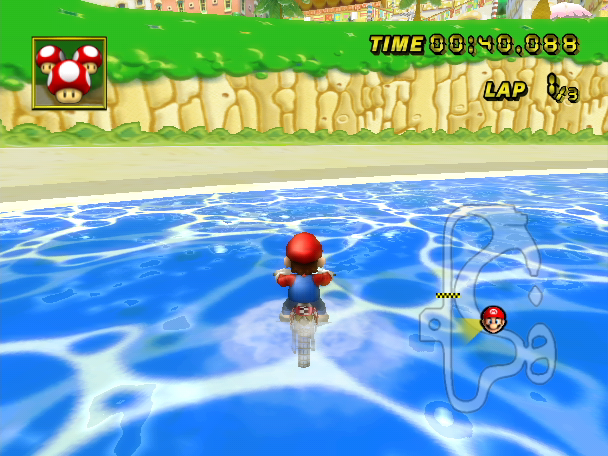 Just recently, I started noticing jpeg like artifacts when playing games in Dolphin which makes certain areas look pixelated and the colors a bit muted. I've tried ten different dev builds as well as the 5.0 stable version and all of the different video backends (except for vulkan since my gpu doesn't support it) and the problem is still present. It also shows up regardless of the internal resolution and anti-aliasing settings. These artifacts weren't there back in February when I last used Dolphin and no other emulator I've tried has this problem. 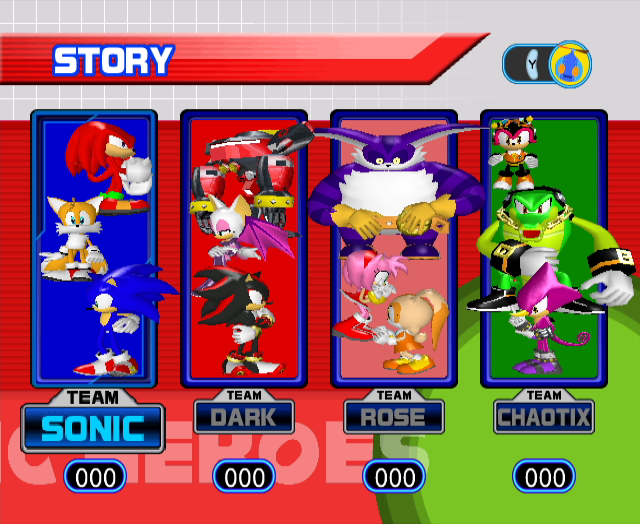 Sonic Heroes - Notice the artifacts on the edges of Knuckles' and Shadow's hair. 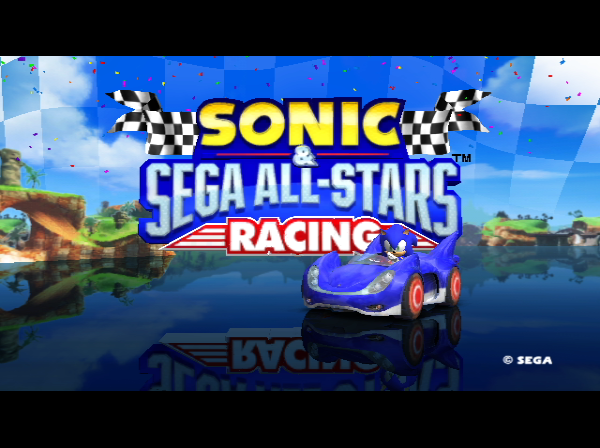 Sonic & Sega All-Stars Racing - Some artifacts near the yellow lettering. Mario Kart Wii - Artifacts on the edges of Mario's hat. 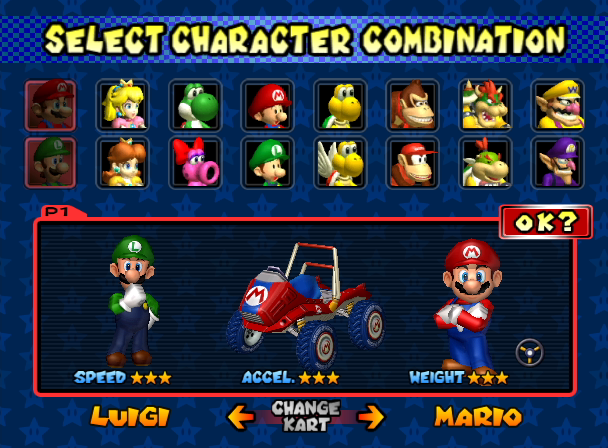 Mario Kart Double Dash - Artifacts on the car where the red and blue areas meet and also on the edges of Mario's hat and arms. 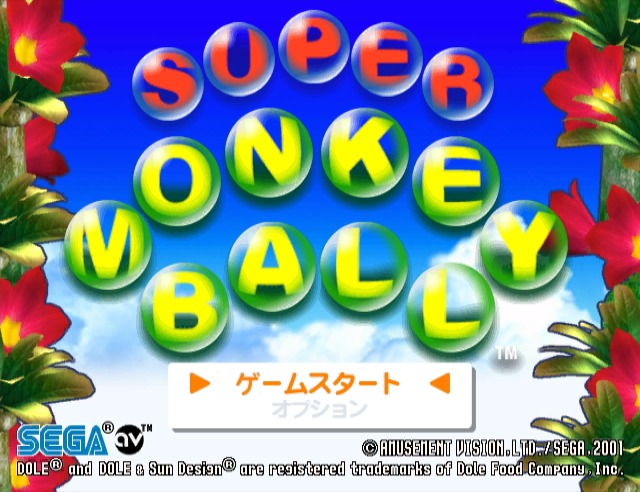 Super Monkey Ball - Artifacts on the edges of the red and yellow lettering as well as the flowers. Now these screenshots weren't modified in any way, how they look here is exactly how they look when I play them in Dolphin. Same...looking at those pics, everything looks fine. turn up the internal resolution if your GPU can handle it. 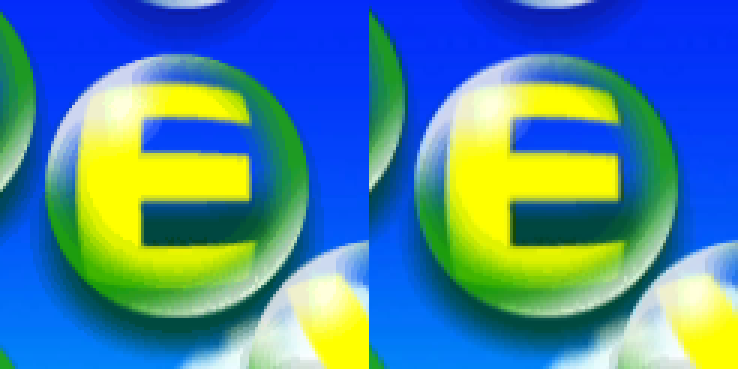 Left is from a screenshot that doesn't have this problem and right is how games look in Dolphin for me. Notice the pixelization/color bleeding on the edges of the yellow and green areas. Ok, as a graphics artist who has spent a LOT of time working around and cleaning compression artifacts (I even made a guide on how to fix them! ), I don't really see any compression artifacts here. Certainly no JPEG artifacts. I zoomed in on each image (with proper non-blurring zoom!) and inspected each image, and I don't really see anything wrong. There *is* some texture compression that comes with games, resulting in macroblocking that one might associate with JPEG compression, but even with my trained eye looking for that, I didn't see it in the spots you indicated. So I'm assuming you may be seeing something else. Do you have Force 24-bit enabled or disabled (it was always on in 5.0)? On the blown up screenshot, there is some extra dark shadowing to the right of some vertical edges. It doesn't look anything like the artefacts JPEG compression gives, but there is a genuine difference (albeit subtle). Where did the left screenshot come from? "So I'm assuming you may be seeing something else. Do you have Force 24-bit enabled or disabled (it was always on in 5.0)?" Force 24 bit is disabled. Enabling it doesn't fix it. "Where did the left screenshot come from?" It's possible that stock photo is bad.